This two piece gown features a beautiful beaded skirt and a top with soft pink sequins. 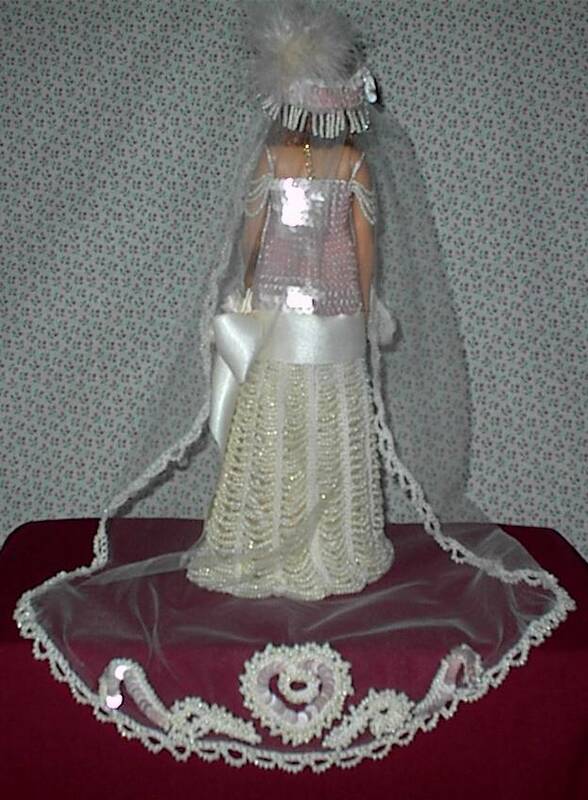 The veil is beaded and is appliquéd. 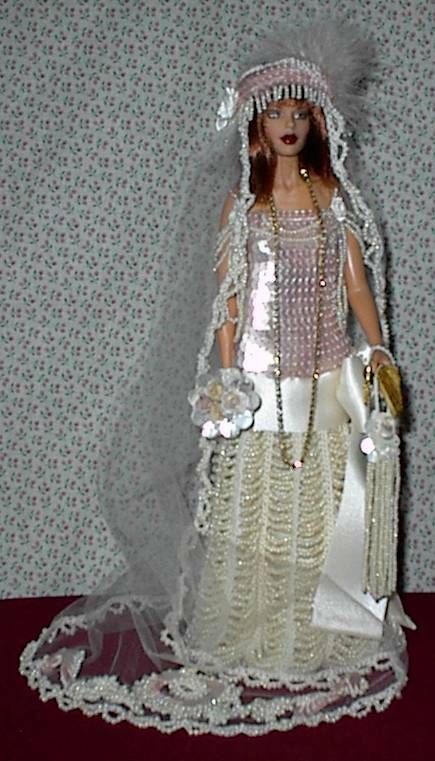 Comes with skirt, top, flapper hat, veil, purse, fan, and bouquet. 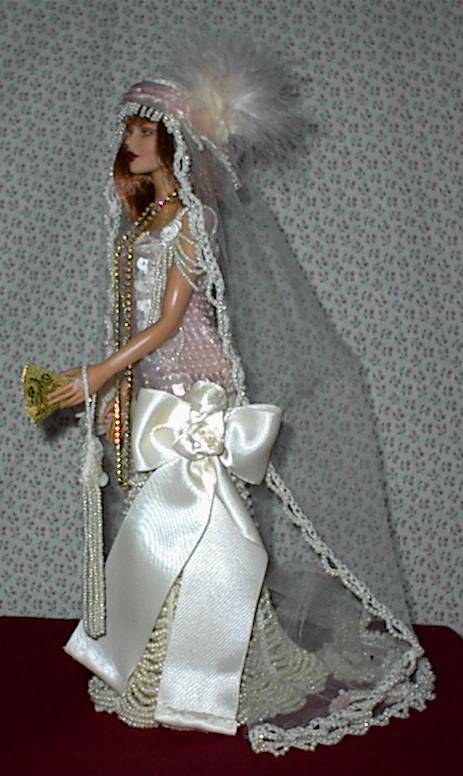 She wears a rhinestone necklace and is dressed on the new Lady Paradise doll from Paradise Distributors.